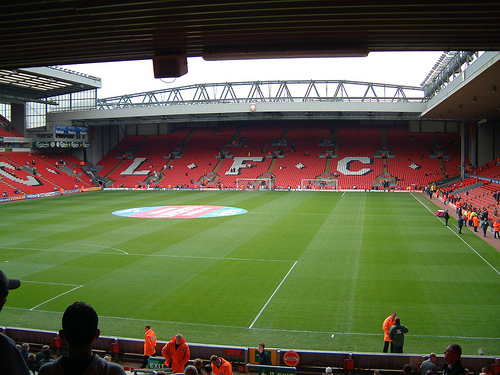 Liverpool welcome Fulham to Anfield on Saturday afternoon looking to close the gap on league leaders Arsenal. The Reds currently sit joint second in the Premier League with Chelsea and Tottenham but can move to within two points of the Gunners with a win this weekend ahead of their rivals visit to Old Trafford on Sunday. Brendan Rodgers men crashed to a disappointing 2-0 defeat to the north Londoners at the Emirates Stadium last time out so will be hoping to bounce back immediately this weekend. The Merseysiders will be confident of doing so as they have been strong at home this season with a record of 12 points from 15, while Fulham head into the game off the back of three consecutive defeats that has left Martin Jol’s side sitting just two points above the relegation zone. The visitors lost 3-1 to champions Manchester United last weekend when three quickfire goals from Valencia, Rooney and Van Persie in the opening half hour gave them a mountain to climb, so they will be looking to keep things tighter in the early stages this weekend. The Londoners do seem to reserve their good form for their trips to Anfield though, as they have kept three clean sheets in their last five league visits and Jol would give anything to make it four from six this weekend. Liverpool have been boosted by the return of defender Glen Johnson who was forced to sit out the defeat last weekend with an infection in his jaw. But after spending the night in hospital last Saturday, he’s trained all week and back in the squad to face the Cottagers. Full-back Jose Enrique has missed the last month with a knee injury but has also been training this week and should return to the fold. Brazilian attacker Philippe Coutinho made a successful return to action last weekend as a second half substitute and is pushing for his first start in over two months tomorrow after recovering from a shoulder injury. Fulham will be without right-back Sascha Riether as he begins the first of his three-match ban for stamping on Manchester United winger Adnan Januzaj last weekend. Hugo Rodellega continues to nurse a thigh injury that’s expected to keep him out for a further five weeks, while Jole is sweating on the fitness of defender Brede Hangeland who missed last weeks loss to United with a back problem. Matthew Briggs is out after a hernia operation but Brian Ruiz is likely to be fit despite a back injury. Luis Suarez: The Uruguayan international has been in excellent form since returning from his 10-match ban and has struck up a deadly partnership with Daniel Sturridge. Stopping the duo will be key to Fulham getting anything from the game. Liverpool 2-0 Fulham: The Reds should have far too much for Fulham to handle on home soil, so we can’t see anything other than a Liverpool win here. What team would you like to see start and what’s your predicted score? Share your views below. 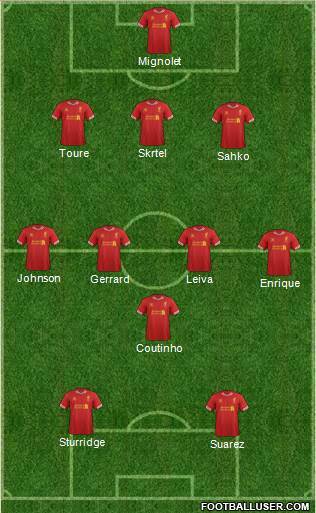 the best defender at LFC…..